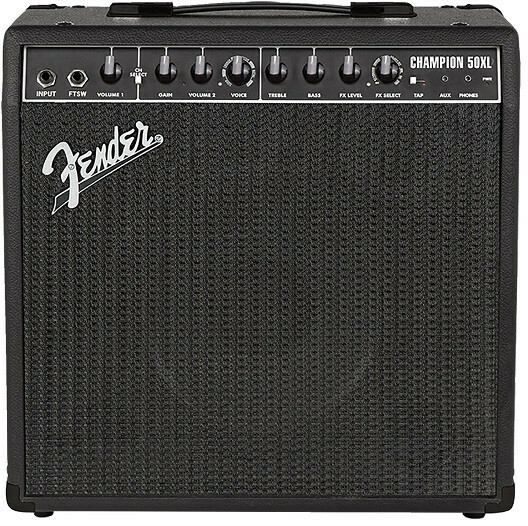 Combo Guitarra Eléctrica Fender Champion 50 XL. Cor: Black. 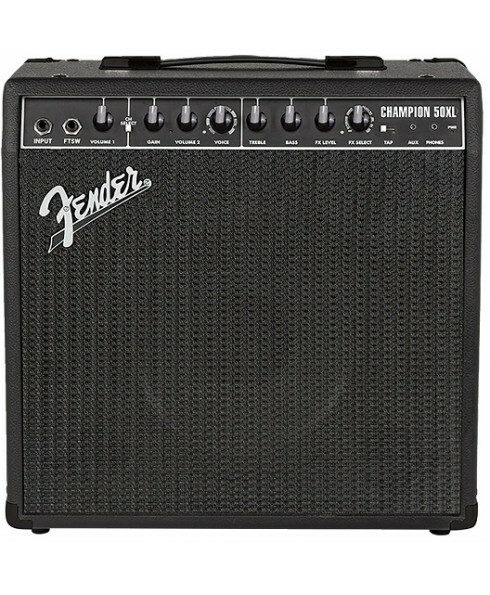 Designed for players who want an easy-to-use amp packed with unbeatable performance and features, the Champion 50XL contains a wide selection of amp models and effects. The Champion 50 adds a more aggressive look and sound to the Champion series - “black on black” cosmetics separate it from the series’ traditional aesthetics. Four “stompbox” effects (Compressor, Overdrive, Distortion and Octaver) add flexibility to the twelve amp tones that range from pristine clean to full-on metal distortion. A full complement of twelve classic effects, ranging from reverb and delay to Vibratone, provide the perfect platform for sonic experimentation. Completing the package, the 12” Celestion® “Midnight 60” speaker brings full tone, increased output and expressiveness to this versatile amplifier. Fun and versitile amp tones, from pristine clean to “metal” distortion.